There is an overwhelming percentage of high school graduates who go into CTE-concentrated postsecondary programs and depart their field of study within two years. No one CTE-related postsecondary concentration retains even 20% of its initial enrollees (the health sciences sector does the best at 19%). Many graduates who enroll in CTE-concentrations were never interested in those fields in the first place. As underserved populations increasingly find themselves priced out of the four-year liberal arts experience, more and more are finding that lower-cost, vocational programs are their only financially viable options. Despite these lower costs, they quickly lose interest, while accruing debt, in a field that has nothing to do with their innate passions in life. 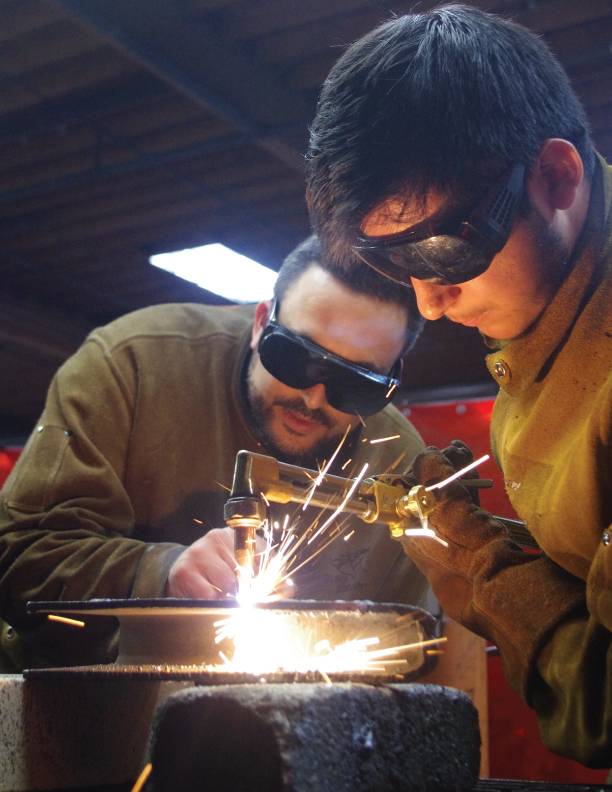 Then there is another population of students who love to work with their hands, who have dreamed of a post-secondary life in the trades – often because of the joy they’ve observed that it brings out in others. Yet somewhere along the way these students are steered toward a more traditional college experience, perhaps due to an unfortunate conditioning in our society that places less societal value on these career pathways. Our goal isn’t to solve the nation’s perceived “skills gap” or to help prepare students for the “jobs of tomorrow.” Rather, we strive to raise up the simple act of allowing students to follow their interests and pursue their passions. And if we give students the opportunity to follow their own path, we could see the dynamic and skilled workforce we desire made sustainable by enthusiastic and engaged people. Let’s not push students into post-secondary programs they have no interest in. And let’s not steer students away from crafts and trades programs they long to pursue. Let’s help students navigate their way through multiple post-secondary paths – all different, none better. “National Assessment of Career and Technical Education – Final Report to Congress”. U.S. Department of Education. 2014.